Takis promotes and sells various 3rd party products and services via affiliate marketing links. These change frequently. Presume that most links here have an affiliate relationship attached, but you should also understand that if Takis promotes it, he uses and believes in the specific product or service. Below is an indicative list of various Takis affiliations, disclosures and relationships. Takis is the owner, chief editor, and writer of Leadership Initiative site. Takis is the owner, chief editor, and writer of takisathanassiou.com. Takis is an affiliate of Amazon. Takis is an affiliate of AppSumo. Takis is an affiliate of ProBlogger. Takis uses Google Adsense (i.e it displays what ads think as relevant!). Takis is an affiliate of Owner Media Group. 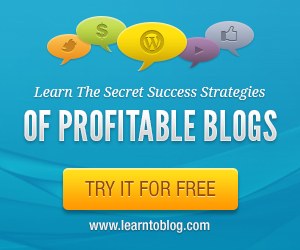 Takis is an affiliate of LearningToBlog. Takis is an affiliate of GoDaddy. Takis is an affiliate of PicMonkey. Takis is an affiliate of Drag. Takis is an affiliate of CallPage. Takis is an affiliate of CloudApp. Takis is an affiliate of Evernote. Takis is an affiliate of Interact Quiz Builder. Takis is an affiliate of Wrike. Takis is an affiliate of Michael Hyatt. Takis is an affiliate of Ray Edwards. Takis is an affiliate of Coursmos. Takis is an affiliate of Thinkific. Takis is an affiliate of Teachable. Takis is an affiliate of Udemy. Takis is an affiliate of CreativeLive. Takis is an affiliate of SumAll. Takis is an affiliate of Grow Sumo. Takis is an affiliate of Process.st. Takis is an affiliate of LongTailPro. Takis is an affiliate of DIY SEO Academy Membership. Takis is an affiliate of LandingPage Monkey – Lifetime Pro. Takis is an affiliate of Trello. Takis is an affiliate of OptimizePress. Takis is an affiliate of NinjaOutreach. Takis is an affiliate of Serpstat. Takis is an affiliate of Social Jukebox. Takis is an affiliate of Nozbe. Takis is an affiliate of DedicatedSolutions. Takis is an affiliate of Hostinger. Takis is an affiliate of Self-Publishing School. Takis is an affiliate of Programming for Marketers email course. Takis is an affiliate of Jeff Goins’ Tribe Writers course. Takis is an affiliate of LearnWorlds. Takis is an affiliate of Socialpilot. Takis is an affiliate of TubeBuddy. Takis is an affiliate of WordPress. Takis is an affiliate of WP Rocket. Takis is an affiliate of Free Logo Maker. Takis is an affiliate of InfusionSoft. Takis is an affiliate of Mirasee and Danny Iny’s Course Builders Laboratory. Takis is an affiliate of Content Promotion Summit. Takis is an affiliate of ShareASale. Takis is a member of Lead With Giants Community. Takis is a member of Lead Change Group. Takis’ articles featured at Alltop. Finally, should be noted that occasionally Takis publishes some sponsored articles for products and services he thinks of value! If you have any questions about anything Takis develops, writes, sells, participates or promotes or any other potential affiliations, please contact directly Takis via his contact form. This is the Leadership Initiative site. All content provided on this site is for informational purposes only. The owner of this blog makes no representations as to the accuracy, completeness, correctness, suitability, or validity of any information on this site or found by following any link on this site. The owner of this blog will not be liable for any errors, delays or omissions in this information nor for the availability of this information. The owner will not be liable for any losses, injuries, or damages from the display or use of this information. All information is provided on an as-is basis. You can check the comment policy of this site, here!